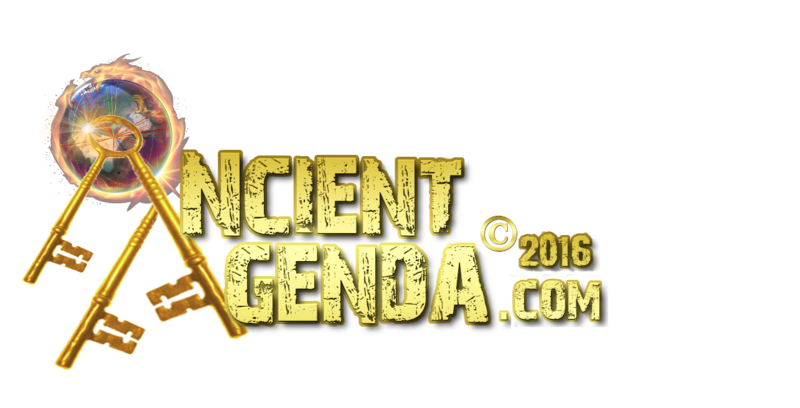 Recently Ancient Agenda has introduced Codex Orionis: Giza's Monuments Speak. 2016 a new year for history across our beautiful planet where we will explore the ancient monuments of antiquity revealing the depth of this Codex which includes every facet of history, scripture and mythology..
..for history and truth are found within man's ancient historical relics. History may be new to some of us, with others the years of reading and deciphering can make this task boring so we hope all viewers enjoy the lyrics (music soothes the soul) scripture, mythology, famous quotes etc. that we've mixed in hoping to 'way-lay' the boring into a fun filled adventurous journey. We've introduced the Atacama Giant as our mascot-guide to accompany this quest with intent to make it fun for all ages. We've seen him transform from a sleeping giant, to a math ruler, captain PT Kirk of the A-A Enterprise to explain the replicated solar system inside the Great Pyramid. He also donned the Sherlock Holmes private investigators attire, to show the clues of Nazca as seen in the previous video releases. To continue enjoying this epic journey we now introduce him as Pi~diana Jones in order that we may uniquely examine our mysterious past. "say 'ello to our litt'l friend!" Please think back to days of early youth traveling with your parents to some destination where the trip was at length and fun, but the anticipation of arrival was like waiting to open birthday presents. Or possibly hiking into a bush or bicycle journey inspection of the outer reaches to your neighborhood with your friends hoping to uncover something mysterious with an excitingly new found wisdom in fair exchange for tender innocence. Our hope is with the Codex journey it will return the glory of youth's wondrous open eyed~see it for the first time~prickly sensation of 'for your eyes only' so every time we look in Giza's mirror all Nazca's lines on the desert are getting clearer. The past is gone, it went by, like dusk to dawn..isn't that the way - historys truth's got it's dues for this world to pay? Yeah, we know nobody knows when truth comes and where it goes. We know it's academia's sin, they got to lose while we show how to win. all roads do not lead from Rome but indeed transverse from the Giza plateau. will introduce many other mysterious monuments and artifacts from history displaying the same numerical, geometrical, astrological use of Solstice/Equinox Light to find their secrets as the Great Pyramid has reluctantly revealed also showing us many times a simple numerical message - the start to Codex 13: Earth's Archaic Monuments SILENT NO MORE! Included are places such as Giza, Sacsayhuaman, Chichen Itza, Tiwanaku/Puma Punku, Stonehenge. Rapa Nui's Easter Island and Nazca (where the Line of Truth is drawn)..
..to name but a few to be examined from the Codex list. Cuzco resting at an elevation of 11,200 feet (11+2=13) and Sacsayhuaman reveal their 13 code, relaying the difference of back to the futures modern building techniques exposing this antiquated unique building procedure allocated to all four corners of our Earth. showing the greatest story Never told! Chichen Itza home to El' Castillo 'the Castle' has shown to be a Solar-Sun Calendar yet has much more to reveal in this dynastic quest. The importance of Puma Punku & Tiwanku is in depth to the understanding towards this journey where we look at 3D heiroglyphs in the form of statues to reveal secrets not yet uttered kept hidden from the foundation of the world. significance only the Great Pyramid can relate. The investigation of Easter Island's megalithic Maoi heads uncovers more to this quest explaining what has been buried for an eternity. As the quest continues, we will unearth questions on how two cultures who shouldn't know each others mythology and religions show a similiar practice also examining world oral traditions from the past. one small step for history ~ and one giant leap for Truth! We will also reach for the skies to see if history's mythological giants can measure up to the kryptonite of Atlantis Awake's Atacama Giant.. or just merely stand in the rule of his megalithic dominant shadow. This adventure will take us from East to West on an epic academic sleigh~ride to what is wrong with past explanations also questioning what the artisans new expressing silently their secrets. Even though we'll be exposing holes of academia's theories, we take this quest seriously and have plenty of questions needing answered. the Great Pyramid and our true past history. The mysterious will be examined and thoroughly questioned all the while the Codex is revealed and explained to leave no stone unturned to shine a much needed Light on what once was thought to be darkness allowing understanding once again of our prior civilizations underlying message to live in perpetual balance with nature. WE will expose this Codex one monument at a time to fully understand the explanational symbolic message being sent over unknown aeons. Along the way Atlantis Awake will proudly introduce Pi Thoth's family to help understand the simple and complicated math procedures. Dog gone it - you could say we chose to expose this Codex because we Sphinx someone has been Lion to us for far too long ! We do this FREELY because we believe it is our right to be Warriors protecting our heritage by giving back what rightfully BELONGS TO US ALL ! The mysterious Codex has given the ability to set fire to the rein, shaking apple trees, to reveal the slippery Serpent's intent and what historians willfully won't acknowledge..
..or are in just plain ignorance of our ancestors prestigious message. This Light shine's a new TRUTH. This mysterious Codex will have most reaching back to the annals of celluloid history retrieving Ricky Riccardo's best voice exclaiming to academia..
"Lucy, you got some 'splainin' to do!" In the end we look to the first historical Witness, the Great Pyramid to undeniably retrieve the second Witness for the final missing clues of this Codex. 'Avenue of the Dead' and help this forgotten 'Lazarus' arise and revive our missing exploited past golden era to history. As we stand on the epoch of a one world language with the advent of personal computer technology, all knowledge accumulated will be shared to explain in revelation just what exactly the two witnesses in fact saw. unlocking the seven seals showing they are indeed the Seven Keys epicly exposing not just a crime of the century, but a crime long gone unhindered. wrong identifying a possible answer to the missing link in our ancestrial tree which might just be attributed by astronomy as a missing planet that once resided where our solar system's 'inner asteroid belt' now circulates. Could it be there once was an industrious intelligent advanced civilization mining Mars and Earth when their home planet became destructive leaving their survivors on Earth stranded our missing Link..? Half our life's in books' written pages, we've been sold, lived and learned from fools and those sages..search your soul.. all truths come back to you. Sing with us ~ not just for today..maybe tomorrow, the bullsh*t will go away. Sing with us, just for today ~ maybe tomorrow, we'll make academia's bullsh*t go away..
And we'll dream on..dream on. Dream with our ancestors..
Dream until their dream comes true..
All the faculty at Atlantis Awake are regular folk with curious minds as most of you are and so we ask everyone to help (regardless of past or present knowledge) with the Codex and if anyone has a favorite megalithic monument wishing explained sooner than later - please just ask - we are here to work this Codex TOGETHER! We're NOT saying we've figured it all out and why we humbly ask for your help on this quest of enlightenment. 13th House of Archaeohistory..2016 the adventure begins!